Honeymoon Tour package | Honeymoon Package tour | North India | East India | West India | South India !!! 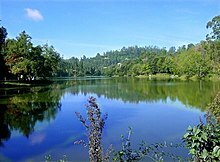 Kodaikanal Honeymoon tour package starting @ 6630! Ooty Honeymoon tour package starting @ 6600! Coorg Honeymoon tour package starting @ 7063! Kerala Honeymoon tour package starting @ 8150! Honeymoon Tour Package from Udaan Holiday Makers! Honeymoon is described as "A traditional holiday taken by newlyweds to celebrate their marriage in intimacy and seclusion." we say "A Honeymoon is the sweetest period for a couple in lifetime". And thus we design a Honeymoon tour package keeping the sweetness in mind & deliver you the best sweetest memories of togetherness. Honeymoon as a tour package started as early as 19th century and has been adapted by countries across the world. The origin is said to have been in India where newly wed couple would visit holy destinations, relatives and some beautiful scenic places after the marriage as part of their honeymoon tour package. The custom has now evolved on visiting some exotic places in and around India and to foreign destinations as well. Connect with us by filling up the Contact form below or browse our weblinks to find out more about the Honeymoon tour package you want to avail or write us with your interested destinations and we will work out the best HOneymoon tour package for you & your spouse! Shimla Honeymoon tour package starting @ 7999! Manali Honeymoon tour package starting @ 14699! Shimla Manali Honeymoon tour package starting @ 18999! Mahabaleshwar Honeymoon tour package starting @ 9375! Click here to Customize/Request your Honeymoon Tour Package!